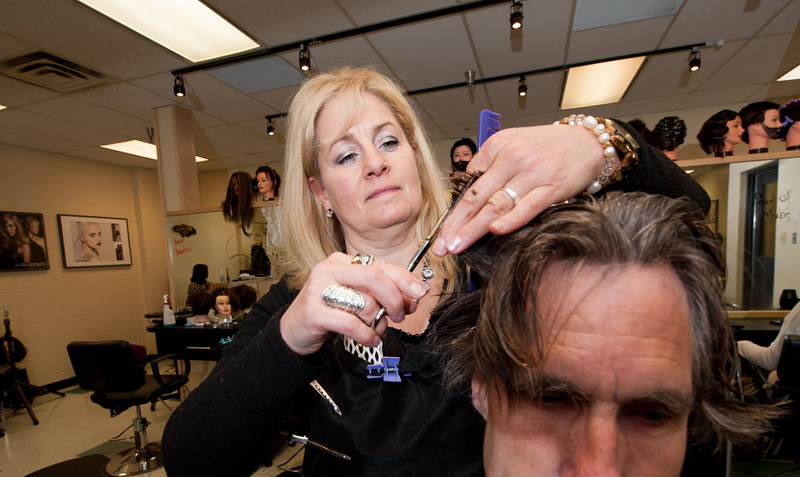 The Hairstylist program is a big change for Lori who spent the past 30 years working on a dairy farm. She married her husband Ken in 1988 and his family owned a dairy farm that she and Ken worked on for 20 years before deciding to expand. Ken and Lori bought 170 acres of land and rebuilt everything – from the infrastructure up. She tossed around a few ideas, originally thinking that perhaps she’d be a realtor, but since high school she had always wanted to be a hairstylist. She explored taking the Hairstylist program at the College which started in the fall of 2017. In the meantime, she took a gel nail course in Kelowna over the winter and an eyelash extension course in Lethbridge in the summer before starting the Hairstylist program. Following her dream didn’t stop Lori from being scared, though. “My biggest fear was whether I was going to be able to understand the work or whether there would be too much information for my brain to retain. I also wondered if I was going to be able to balance work with the rest of my life,” she says. Turns out Lori’s fears were for nothing. She’s doing exceptionally well in the program – having received two scores of 100% and two over 90% on her first four tests. Used to the busy life of a dairy farmer, Lori hasn’t slowed down. In addition to going to school she works at a Creston salon doing gel nails and eyelash extensions on the weekend and has been told that when she’s done the Hairstylist program, there will be a chair there ready for her to rent as well. Her plan is to work at the salon until 3 pm most days and to then continue to teach her other passion - Highland Dance - on Tuesday and Thursday evenings. We’re so happy you’re here too, Lori.